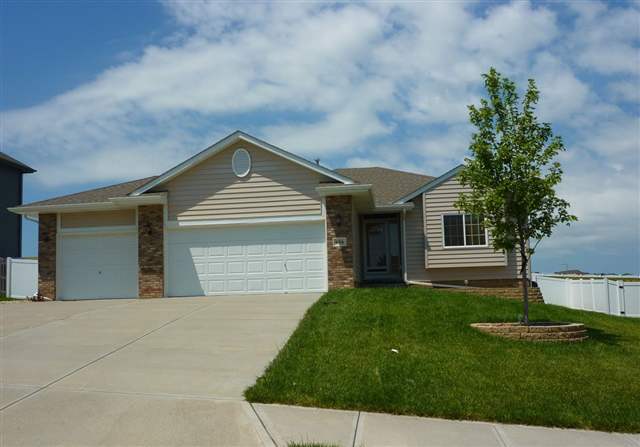 Angela May's Omaha Nebraska Real Estate Blog: Just Reduced! 1 Owner Ranch in a Great Location with Awesome Finished Basement! Just Reduced! 5 Car Garage & Grand Entrance! Open House! Sunday, October 16 from 1-4pm! Price Reduction - Soaring Ceilings & Sunshine! 21 Quick and Easy Budget Upgrades! Just Reduced! 1 Owner Ranch in a Great Location with Awesome Finished Basement! This 1 Owner Ranch is in a Great Location and has an Awesome Finished Basement! 3 of the Bedrooms are on the Main Level with a separated Master Suite. The Master Bath includes Dual Vanities, a Large Whirlpool Tub and a Walk-In Closet. The Kitchen boasts Hardwood Flooring, a Ceramic Backsplash and all Appliances. The Kitchen opens to the Family Room with 10' Ceilings and a Fireplace. Enjoy the Awesome Finished Lower Level which has a 4th Bedroom, a 5th non-conforming Bedroom, a 3/4 Bath, Built-Ins, High Ceilings and Large Daylight Windows providing Ample Sunshine. In Addition, the Home features a Flat, Fenced Yard with 6' PVC Fencing, a Covered Patio and a Sprinkler System. For more information or to schedule a private showing of this great home, please visit www.HuskerHomeFinder.com or contact Angela May directly at 402/709-4908.